If you are an employee who recently separated from your employer, you may be eligible to receive unemployment compensation benefits. Despite the common misconception that all employees who are terminated can receive unemployment benefits, only certain employees are entitled to unemployment benefits following termination. 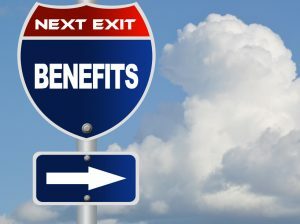 Unemployment Claims & Benefits: Who Is Entitled to Benefits? Employees who have been laid off or who resigned may be eligible for unemployment for reasons such as a substantial change in their working conditions or unreasonable reduction in their pay. Employees who have been fired or resigned from their employment are not necessarily excluded from receiving unemployment compensation benefits. Whether or not the fired or resigned employee will receive benefits depends on the individual facts of his or her case. Some considerations include whether the employee separated from employment because he or she was a victim of domestic violence or a victim of personal, workplace harassment. If you want to receive unemployment compensations benefits, you must file an application with the Colorado Department of Labor and Employment. You can appeal its decision by filing a written notice of appeal to the Appeals Section of the Division of Unemployment Insurance. The Division will then schedule and conduct a hearing where you can present your argument and bring witnesses. Following the hearing, a Hearing Officer will provide you with a written decision. If the Hearing Officer does not reverse the Department’s denial, you can further appeal the Hearing Officer’s decision to the Industrial Claim Appeals Office and then to the Colorado Court of Appeals. The Denver attorneys at Lohf Shaiman Jacobs Hyman & Feiger PC advise employees on this sometimes complex and confusing process. We can guide you through the unemployment compensation benefits application and assist in your appeal following a denial of unemployment compensation benefits.